As a brand new mom with perfectionistic tendencies, I gobbled up every type of parenting resource I could get my hands on. If it was a tip that promised to help me be the best parent possible, I wanted to know it and put it into practice, pronto! After I spent hours of those early months Googling every possible parenting ‘best practice’, I eventually realized that each person blazes their own unique parenting path. Best is quite subjective in the realm of parenting. However, occasionally all my searching would turn up a useful nugget of information that made it onto my parenting Pinterest board and eventually into action in our home. 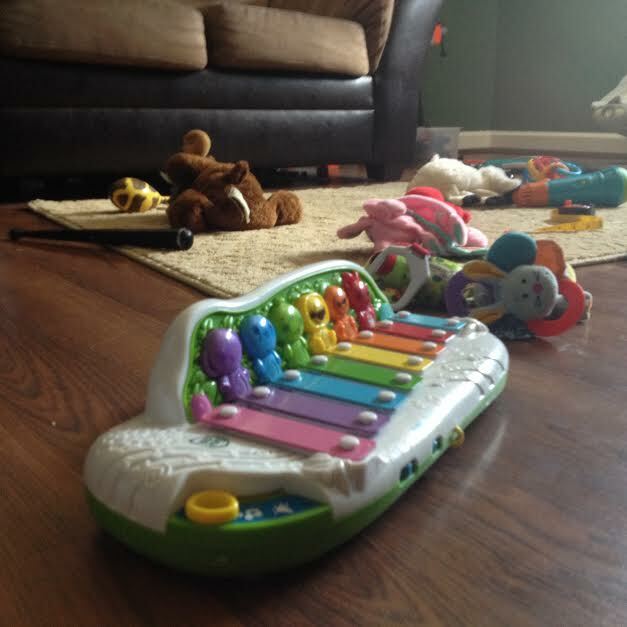 One of the most helpful ideas was a suggestion to turn every day activities into opportunities to incorporate music in our home. It seems that people smarter than me have figured out that our brains process information in the form of music differently from the spoken word. A peak into our home during those first few years of my daughter’s life would have surely given you multiple opportunities to giggle as you listened to me sing made up songs about everything from diaper changes and bath time to picking up toys and getting dressed. Those songs may not have rhymed or ever made it into a songbook somewhere, but my kids got a kick out of them and they seemed to clue into my requests more so than if I just jabbered alone. Kids’ brains are already little sponges, but music opens up their minds in a whole new way. As my children have grown, I’ve used music to teach them basic important information such as our address, phone number, and how to spell their names. It wasn’t long after implementing this teaching method before I realized I could tap into this God-given natural ability of children to memorize through music for even more important lessons. As parents seeking to impart God’s truths into our kiddos as they grow, we have an incredible opportunity to capitalize on this natural ability and use music to plant seeds of truth into their hearts! Those of you who have been around here awhile know that I love to find and share helpful resources to use as we all seek to parent (and grandparent!) 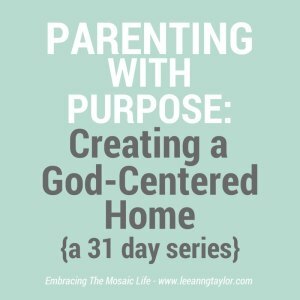 with purpose and create God-centered homes. Today I’m excited to share with you the CD/Book combo My Sing-Along Bible: 50 Easy-Read Stories + 50 Fun Bible Songs. If you grew up going to Sunday School, you’ll recognize many of the songs sung by the kids on the CD. You’ll hear Jesus Loves Me, Jesus Loves the Little Children, and Joshua Fit the Battle of Jericho, plus traditional hymns like All Creatures of Our God and King. 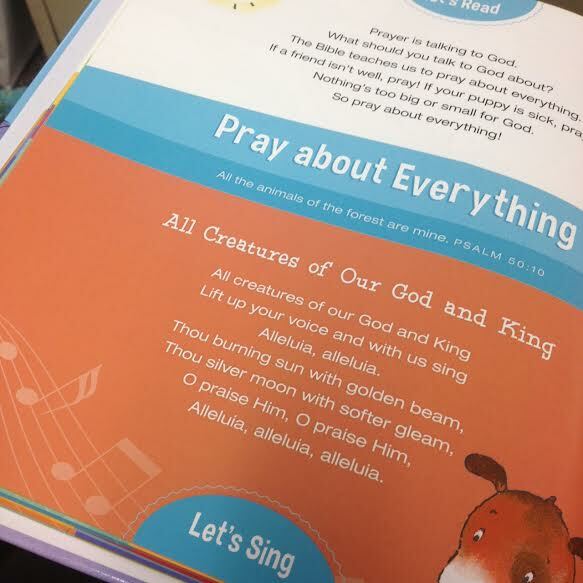 The book has beautiful brightly colored images, a small little devotional for each topic, a scripture verse, and the lyrics to each song. The book works perfectly as a morning quiet time tool for little ones since the sing-along aspect keeps their attention, even when they’re too little to read. 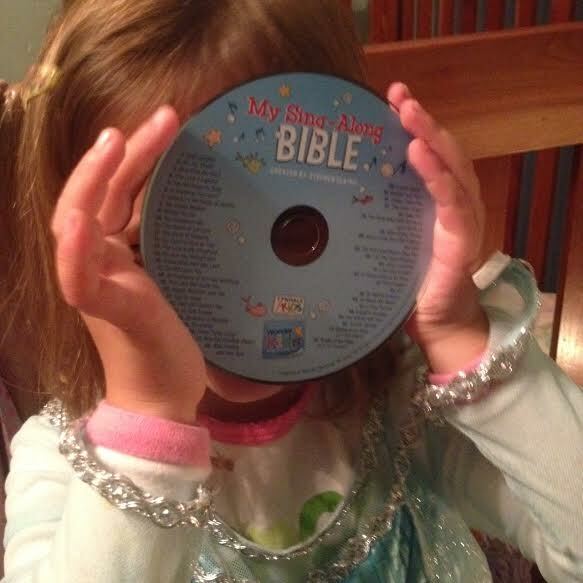 My daughter already has her favorite songs memorized and is working on learning all the books of the Bible by singing along with the two bonus songs at the end, one for the Old Testament and the other for the New Testament. My son loves to follow along when we listen to the CD in the car. 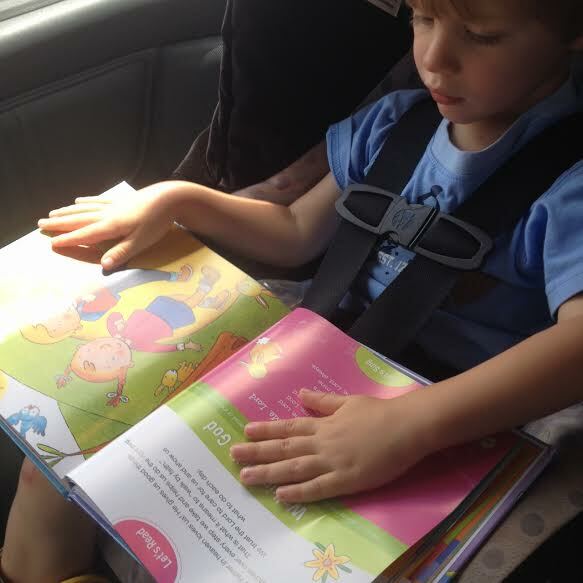 And I love seeing his little chubby hands flipping through the pages while he sings along with the music. I’m so thankful we have quality tools like this to help teach our kids the Word of God! 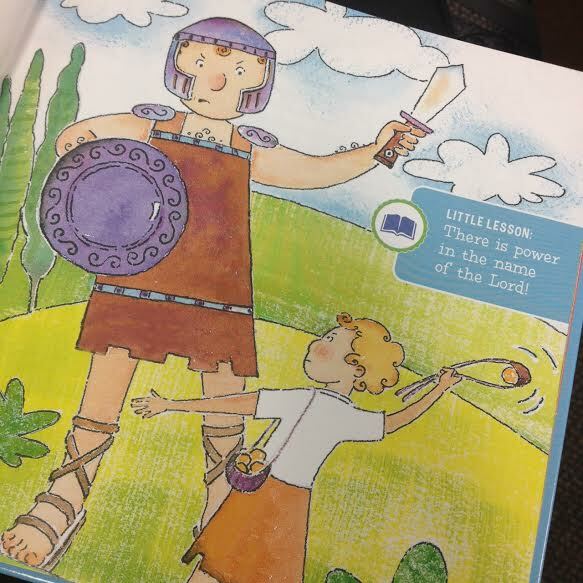 What are some of YOUR favorite resources for teaching young kids scripture and Biblical truths? 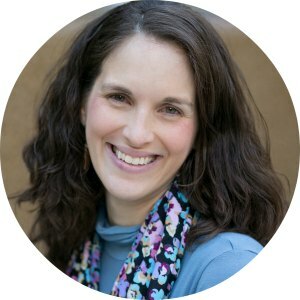 If you’re interested in connecting with others who are also passionate about creating a God-centered home, I’d love to have you join the Parenting With Purpose Facebook group for encouragement, resources, and inspiration! You can also subscribe to posts by email here.